4WD & Commercial PartsWorld in Hamilton New Zealand provide quality recycled automotive parts worldwide specialising in Quality parts for 4WD Vans & Utes; Toyota, Nissan, Holden, Isuzu, Mitsubishi, Ford, Mazda, and more. 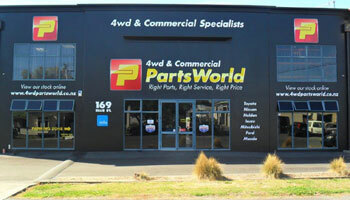 4WD & Commercial PartsWorld in Hamilton is part of the Partsworld Group of Automotive Dismantlers. As well as being a member of the Motor Trade Association. We aim to provide you with the right parts and right service at the right price. Followed up with our 6 months parts and labour warranty on mechanical items. 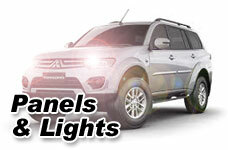 We specialise in 4WD & Commercial vehicles. 4WD, Vans & Utes. As an auto dismantler we recycle commercial vehicles and import new and second hand parts. Feel free to search our extensive range of products or give us a call to see what we have in stock.